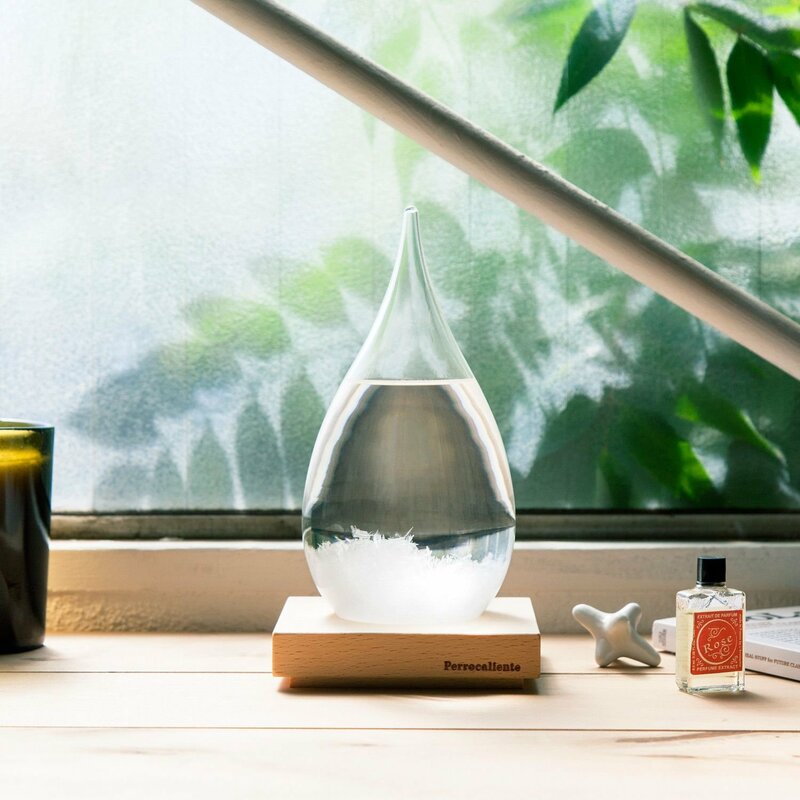 sueper-store.de Tempo Drop is a modern version of a storm glass, a type of weather forecasting device that responds to extreme changes in weather. It consists of a beautiful teardrop-shaped sealed glass container filled with temperature-responsive liquids — like water, ethanol, and camphor— that provide a beautiful window when severe weather surrounds you. It also makes an entertaining conversation piece for your home. Set it by your window and take a gander the next time a storm is upon you. The crystals change depending on weather changes, and the storm glass should allow a prediction over a period of about 24 to 36 hours.